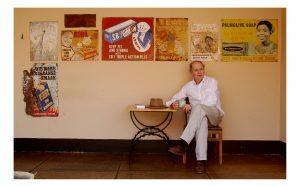 Alexander has written an article for the Belmond Travel magazine about his latest trip to Botswana, a country which he loves and home to Precious Ramotswe and The No.1 Ladies’ Detective Agency. 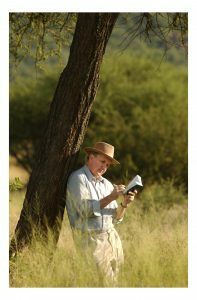 You can read the article here and you still have time to book onto his next safari with Belmond, later this year. 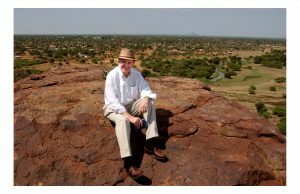 The photographs below of Alexander McCall Smith in Botswana were taken by the photographer Chris Watt when he accompanied him on an earlier visit.